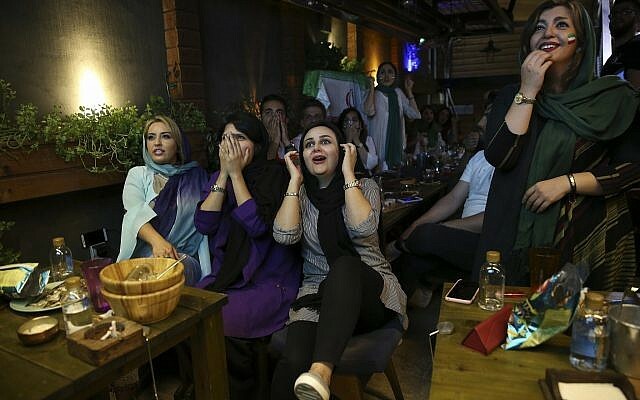 TEHRAN, Iran — Tehran’s largest football stadium is to admit thousands of women together with men for the first time since the the Islamic revolution of 1979 as World Cup fever grips Iran for its Wednesday evening group game against Spain. The decision to throw open the gates of the capital’s 100,000 capacity Azadi Stadium for the landmark 10:30 p.m. live screening comes with Iran topping Group B after its opening game victory against Morocco on Friday. That game too had been due to be shown live in stadiums and parks but authorities canceled all planned open-air screenings just hours before kickoff forcing fans to watch in cinemas. 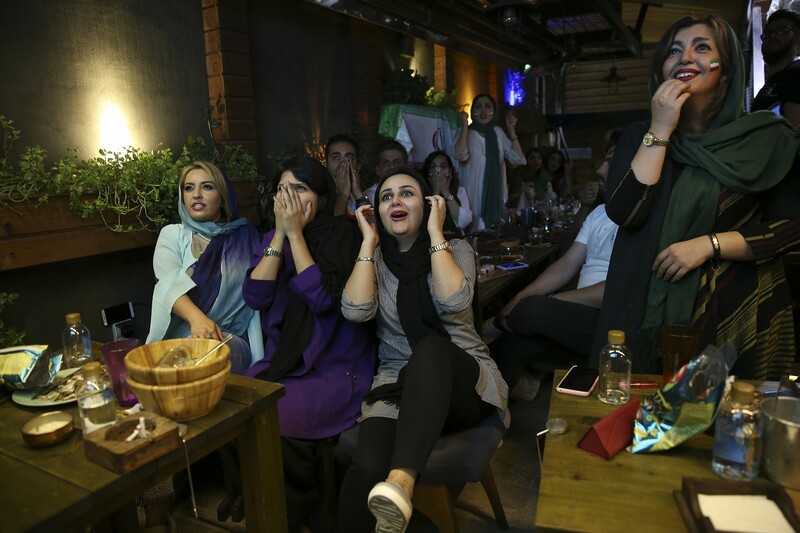 The U-turn by Tehran provincial council came after the 1-0 win over Morocco saw tens of thousands take to the streets of the capital in rare and wild celebration, many of them women. More than 10,000 tickets were expected to be put on sale for Wednesday’s screening and at less than two euros each they were swiftly snapped up. Female member of parliament Tayebeh Siavoshi, who has long campaigned for women to be allowed to watch matches live in stadiums, said she hoped the decision would pave the way for a wider change of policy. “Once spectators have shown their respect for the rules, we hope it will be possible to screen the Iran-Portugal game in the same stadium (next Monday) and that will mark the start of families attending matches played at the Azadi,” she told the ISNA news agency. 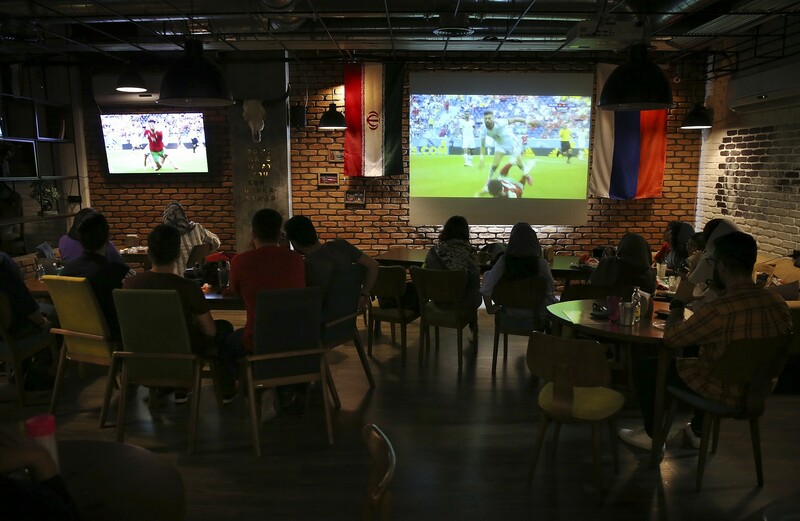 Many Iranian clerics oppose women attending football matches, saying they must be protected from the masculine atmosphere, though the ruling is frequently criticized from across the political spectrum. The opening game 3-3 draw between Group B favorites Spain and Portugal has given Iran a sniff of hope that it could seal a shock berth in the last 16.